TIDEWATER: The Chesapeake Bay in Photographs is now available on iBooks! While we like our print books, we have to admit the images look fantastic on screen. This digital edition includes new photographs, captions and links to additional resources for your next trip to the Bay. 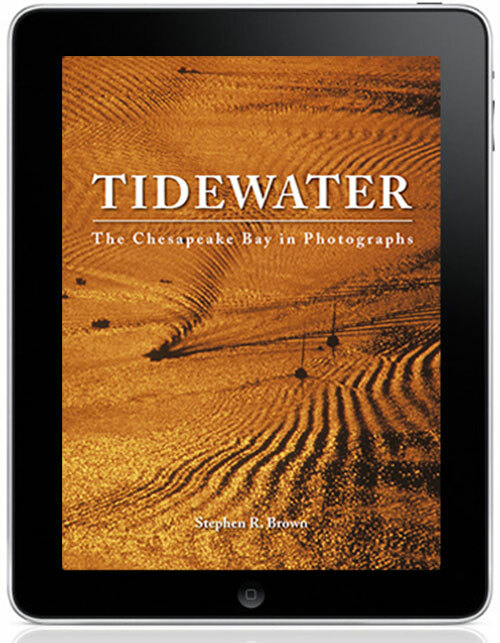 TIDEWATER remains the most complete photographic book on the Chesapeake Bay, and the Bay’s vivid beauty and old-worldliness come to life in the stunningly crisp images on the IPAD’s glossy screen. We hope you enjoy the books. We’re quite taken with the instant gratification of purchasing media on our devices – and how simple it is to bring up images of the Bay as we navigate its waterways. March 22, 2013 | Filed under About the Book, Blogs, Books, Photography, Tidewater and tagged with Art, Chesapeake, Chesapeake Bay, Environment, Estuary, family, fishing, Tidewater, Travel.